The class assignment is to take an important and controversial issue–current or past–and dig deeply to find the hidden parts of the story. Stories like the Boston Tea Party of 1771. Most of us learned the event signaled the critical moment when colonists broke ties with the English motherland by protesting high taxes on tea and dumping a ship full of brew in the harbor. But historians say the Destruction of the Tea–as it was called until a textbook 100 years later changed the title–was driven by rich merchants who got better prices on the Black Market with cheap tea offered by the Dutch. The event was more about cash than freedoms. This week when I heard that an under-cover police officer shot two men armed with assault rifles at a Texas gathering, my first thought was relief that someone prevented what could have been a bloody massacre. But first impressions are deceptive. 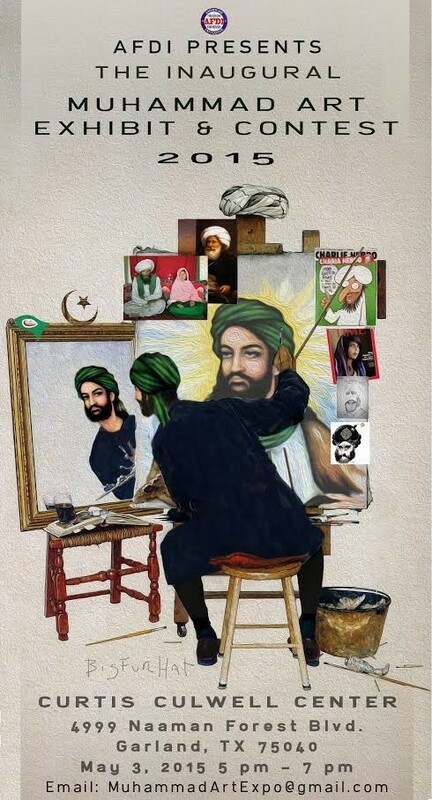 Turns out the Texas event was held to encourage cartoons of Muhammed. Muslims learn that depictions of Muhammed are discouraged or forbidden–depending on your teachings, which vary widely. And most Muslims are not extremists who believe someone disparaging the prophet should be killed. Depictions are considered idolatry, which should sound familiar to anyone who attended Christian Sunday School, where children learn that worshipping an idol–like a golden calf–is misplaced devotion. Turns out the organizers of the Texas event who invited artists to disparage Muhammed use the shield of Free Speech to wave their flags of Hate Speech. In journalism school we tell students that Free Speech is sacrosanct–that it must be protected at all costs. But what about speech that is truly harmful? We can agree that harm comes from actions, not from words. But what about words that are driven by hate with the intent to harm? The event was titled, “Muhammad Art Exhibit & Contest,” with a $10,000 prize to the winning cartoon depicting the prophet Muhammad, according to the Washington Post. The event organizers said its purpose was to, “promote freedom of speech,” Newsweek said. Sponsor is the American Freedom Defense Initiative, considered a hate group by the non-profit Southern Poverty Law Center, a civil rights organization founded on non-violence and social justice. The hate group is led by Pamela Geller, who spearheaded the attacks against a Muslim community center in New York, calling it the Mosque at Ground Zero. Today’s New York Times ran an editorial bashing Geller for her outright hate mongering. The Texas event wasn’t about free speech, said the Times. This entry was posted in framing, freedom of speech, hate speech, journalism, science, science communication, writing and tagged boston tea party, hate speech, literacy, native press, native science, pamela geller, social justice, stereotypes. Bookmark the permalink.